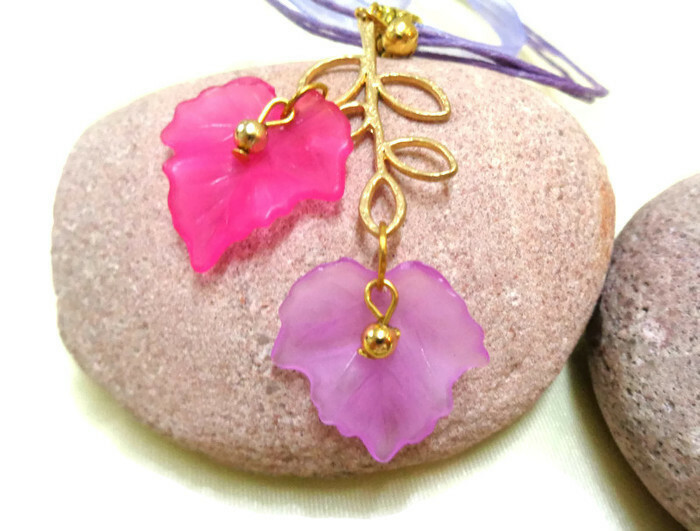 Pink and Purple Autumn Leaf + Gold Branch Necklace. Maple Leaf. 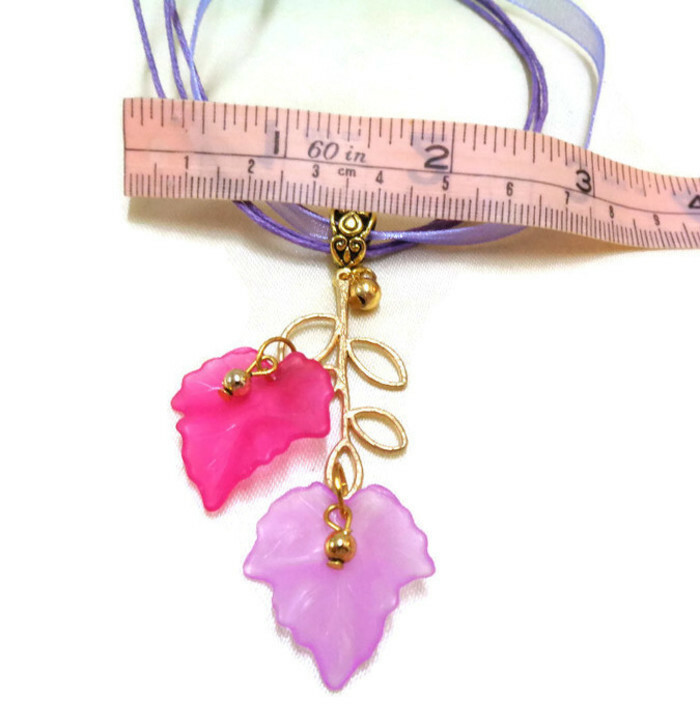 Unique Pink and Purple Autumn/Maple Leaf + Gold Branch Necklace. Lovely gift for her. Girls gift. 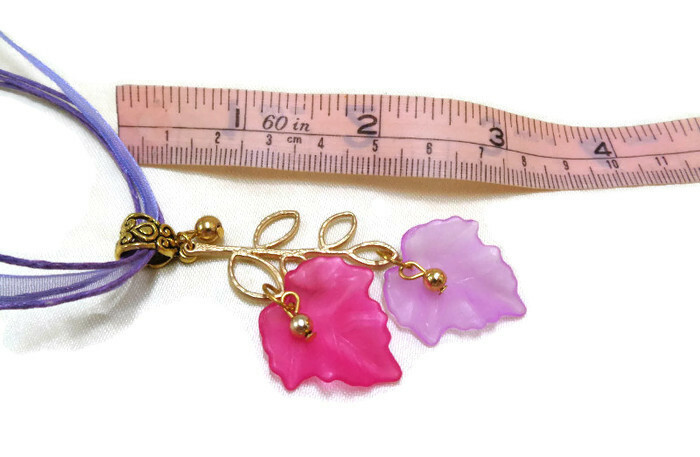 One Pink, One Mauve Leaf each approx 25mm x 23mm. Two Small Gold Beads approx 3mm in diameter. One Gold Bead approx 4mm in diameter. Gold Tone Rings and Findings. Purple Organza Cord with Lobster Clasp approx 450mm (17") end to end + Silver Tone Extender Chain approx 50mm - 2" in length. PLEASE READ SHIPPING & POLICIES BEFORE ORDERING. THANK YOU.